Global SaaS company, Flamingo AI Limited (ASX:FGO), has revealed it has clinched a master services agreement for a strategic partnership with EXL Service Holdings (NASDAQ:EXLS). FGO operates in the artificial intelligence (AI) and machine learning spaces, and provides cognitive virtual assistant platforms that are designed to assist enterprises selling and servicing complex products online. It therefore finds an apt match in EXL — a leading operations management and analytics company that designs and enables agile, customer-centric operating models to help clients improve their revenue growth and profitability. EXL’s delivery model provides market-leading business outcomes using its proprietary Business EXLerator Framework®, cutting-edge analytics, digital transformation and domain expertise. EXL looks deeper to help companies improve global operations, enhance data-driven insights, increase customer satisfaction, and manage risk and compliance. Serving the insurance, healthcare, banking and financial services, utilities, travel, transportation and logistics industries, EXL is headquartered in New York, with more than 27,000 professionals in locations throughout the United States, Europe, Asia (primarily India and the Philippines), Colombia, Australia and South Africa. This partnership will provide FGO with an additional go-to-market channel and service partner, adding to its existing direct sales model. Pairing FGO’s AI and cognitive virtual assistant technologies with EXL’s analytical capabilities, industry expertise and market reach, this agreement will ultimately create value for both organisations, and will further expose FGO’s applications to a broader market. 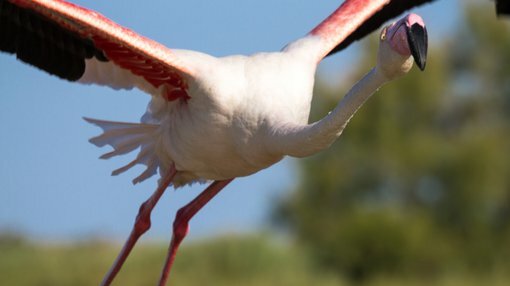 EXL will leverage the Flamingo AI technology as part of its digital solutions suite and transformation service offerings. It should be noted, however, that this is an early stage tech company and success is no guarantee. Investors should seek professional financial advice before making an investment. FGO CEO, Dr. Catriona Wallace, said: “We’re very pleased that EXL has selected Flamingo AI as one of its key strategic partners, specifically in the provision of artificial intelligence and virtual assistant applications in the insurance sector. “We recognise EXL as a leading provider of technology services to [this] sector, globally, and believe the combination of both company’s offerings will be highly compelling. The ability to expose our services through this relationship with EXL will deepen our expertise in this vertical,” Wallace added.